DPCI provided Adobe DPS consulting and direct entitlement implementation services to connect DPS with Drupal and Salesforce for the Catalyst.org members-only app for tablet devices. Catalyst, founded in 1962, is a nonprofit organization with a mission to expand opportunities for women and business. With offices in the United States, Canada, Europe, India, Australia, and Japan, and more than 700 member organizations, Catalyst is the trusted resource for research, information, and advice about women at work. Catalyst management was looking to deliver interactive collateral material to tablets and mobile devices with the use of Adobe InDesign and the Adobe Digital Publishing Solution(DPS). 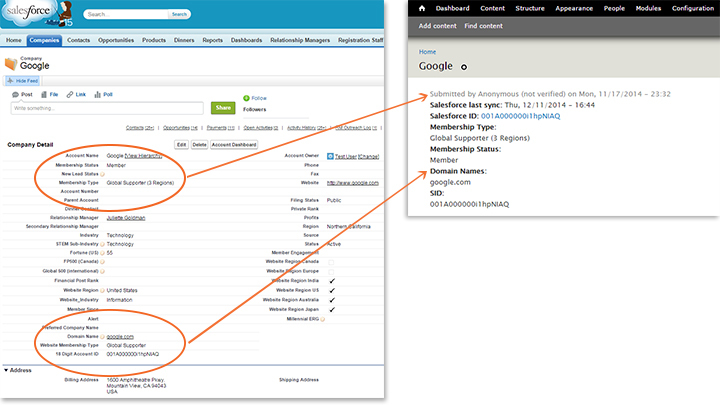 In addition to publicly accessible content, Catalyst wanted to deliver restricted-access content to organization members that are registered in Salesforce, Catalyst’s CRM. Catalyst selected DPCI to provide Adobe DPS consulting services and to help connect DPS with Salesforce using the APIs of both platforms. DPCI provided a series of training sessions, in which Catalyst content creators and designers learned how to administer the platform through the DPS Dashboard, including Folio Producer, analytics, role management and the DPS App Builder to create a rich, interactive experience for the iPad app. To provide existing members with access to restricted content, DPCI implemented a direct entitlement server using Drupal integrated with Salesforce, Catalyst’s CRM. DPCI installed and configured Drupal in Catalyst’s hosting environment and then configured the out-of-box Salesforce Suite modules to pull the necessary member access information from Salesforce into Drupal. This Drupal-based entitlement server passes the user access credentials to the Adobe DPS application, requiring members to sign-in to the app to gain access to restricted content. In addition, DPCI provided Catalyst content creators with extended technical support and training on the validation process for iPad applications. Prior to launch, DPCI verified all assets bundled within the applications in accordance with Adobe DPS and Apple specifications for iPad devices. 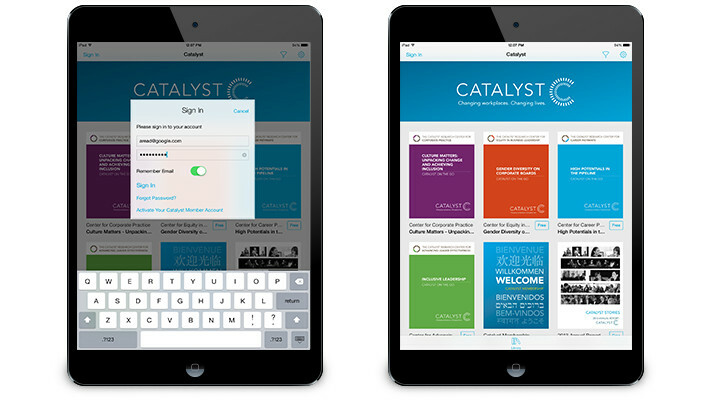 Catalyst premiered the new Catalyst app in the Apple App Store for iPad in February of 2015. With the help of DPCI, Catalyst implemented an interactive iPad app that gives members access to easy-to-use, interactive collections of research on women and business, board diversity, effective leadership, and more.